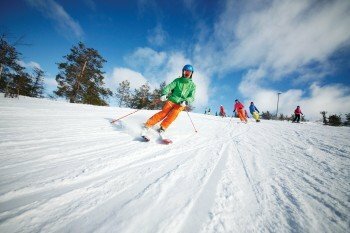 Levi is among the 5 best rated Ski Resorts in Finland. 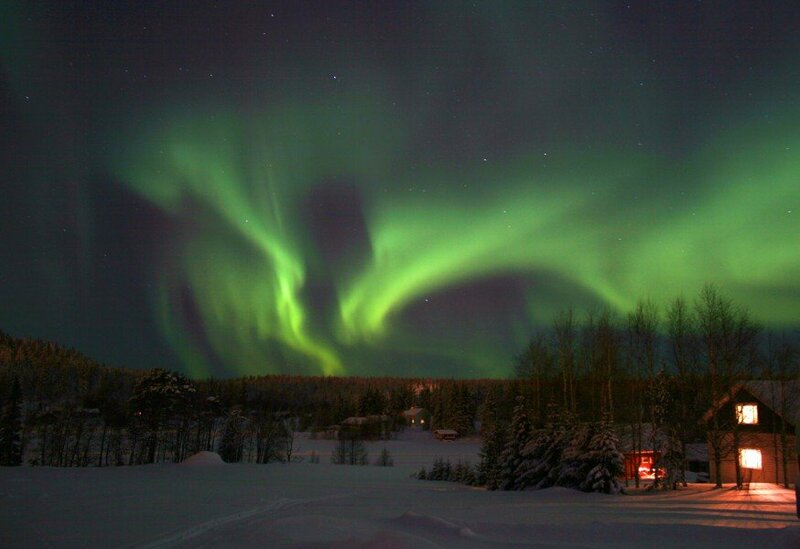 It is among the 15 most family-friendly ski Resorts in Finland. Season starts on Oct 12 and ends on May 5 (205 days). Average season duration in Finland is 165 days. Average snow depth during the season (Oct 12 to May 5) is 0 " at summit elevation and 0 " at base elevation. Snow coverage is usually best during March, offering an average snow depth of 33 " at summit elevation and 0 " at the base. Therefore Levi is among the 3 ski Resorts with best snow conditions in Finland. Levi features 41 sunny days on average per season. The average for all ski Resorts in Finland is 50 sunny days. March is the sunniest month with an average of 15 sunny days. 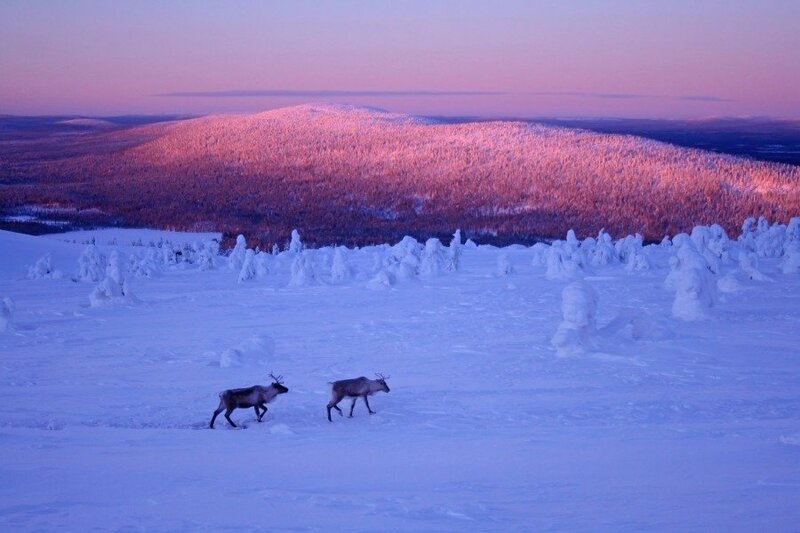 This makes the ski resort one of the 5 sunniest in Lapland. Offering 24 miles of slopes and terrain, Levi is among the 3 largest Ski Resorts in Finland. In Europe’s icy northern reaches, the winters are long, the snow deep and the queues by the ski lifts short. 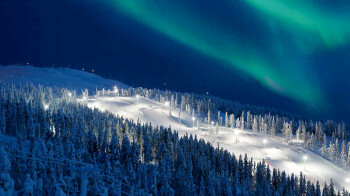 At Finland’s largest ski resort – Levi – beginners, children and advanced skiers can all have fun on the slopes. Levi has been crowned Finland’s best ski area four times and is clearly the Scandinavian nation's largest ski and year-round resort. That being said, with only just over 300 metres of vertical between the base and mountain station, the ski area may at first glance appear a little unsatisfactory to anyone used to skiing in the Alps. Yet close inspection reveals that the local infrastructure uses every last drop of potential that Levi Mountain has to offer as a ski destination. The roughly 40 kilometres of runs are distributed between 16 kilometres of blue, around 20 kilometres of red and 2.8 kilometres of black marked trails. As a result, beginners and intermediate skiers will particularly enjoy the slopes here. Experts will only find two black-rated runs, though one of them is the official FIS World Cup slalom course. Not many other runs in this part of the world can boast a similar pedigree. 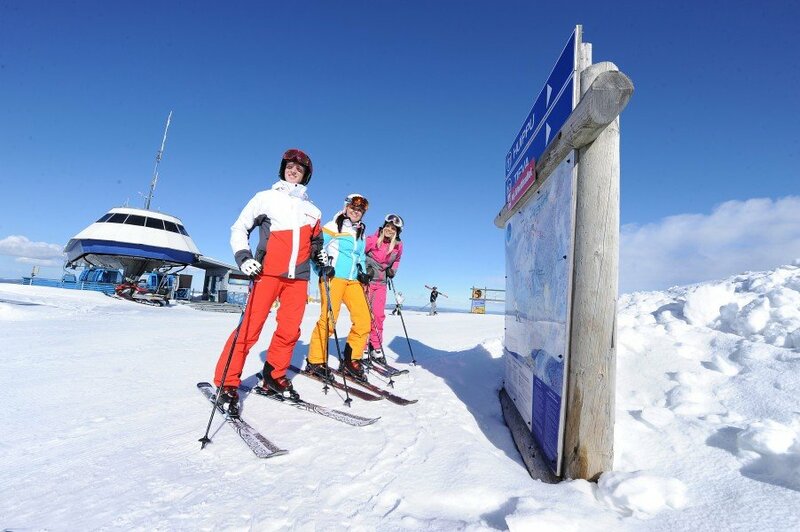 Levi also offers skiers the chance to take to the slopes after dark, with 15 trails floodlit during the evening hours. The Children’s Land is located close the mountain’s Front Slope area. Complete with a sledding hill and play area, this is the perfect place for youngsters to let off some steam. It’s also worth noting that children up to the age of six can ride all the lifts here for free. The Children’s Land also features “Leevi the Wolverine” throughout its course, offering a friendly face and motivation for youngsters. 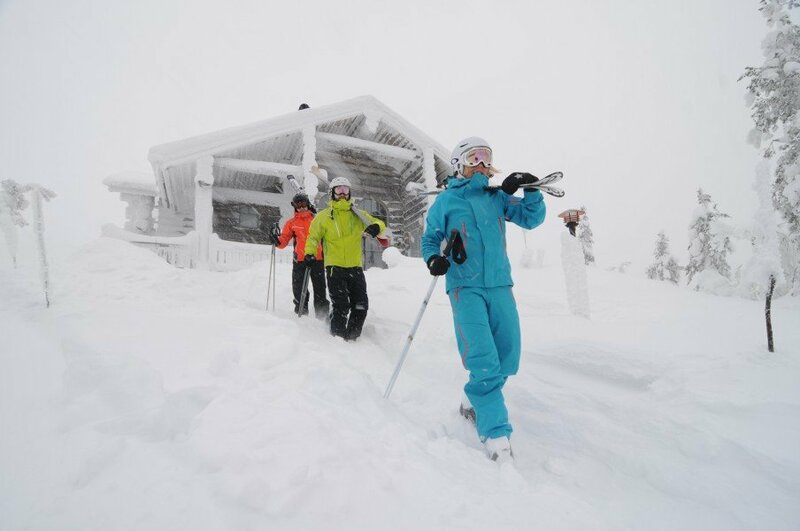 The day care offering for kids is also top-notch in Levi. The Children’s Land is flanked by the Tenavatokka, a small building where carers offer arts and crafts for kids, providing a constructive way to spend a few hours. This is also an ideal opportunity for parents to take a break for themselves. Recently, a new centre for all-day child care called “Muksutupa” was also established at the mountain’s South Point. 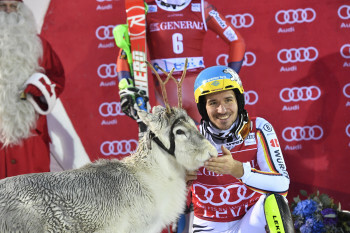 The family-friendly services at Levi are rounded out by a ski school with learning centres at Zero Point, the World Cup Arena and South Point. Learners can take their pick between individual and group instruction. Freestyle fans can look forward to no less than three terrain parks in Levi. There’s a small terrain park within Children’s Land which is equipped with several easy rail boxes as well as a simple tube rail. The shaping team also maintains two small jumps here. This is the ideal place for freestyle beginners and aspiring youngsters. A larger terrain park is located by the Front Slope and it’s equipped with a range of different features. Whether you hit the half pipe, rail, triple pipe or “down flat rail”, advance freestylers will find plenty to keep them busy here. The array of features is complemented by a “cannon barrel” rail and three boxes, each boasting two jumps of between eight and eleven metres. The winter season 2016/17 sees the opening of the mountain’s South Park, located down from lift no. 9 (Aurinko surface lift). Measuring in at around a kilometre in length, it’s almost twice as long as the snow park by the Front Slope, and it offers an excellent range of rails and jumps. In addition, this terrain park is floodlit and therefore great for showing off some moves under the lights. 25 to 30 features are planned for the new terrain park. In addition to the expert line, an easier line is also planned to ensure that freestylers of all abilities can enjoy the park. It goes without saying that proficient skiers should test themselves on the G.1 run – the resort’s official FIS slalom course. The Gondoli2000 gondola lift also ensures that skiers are returned to the top of Levi Mountain in no time at all. 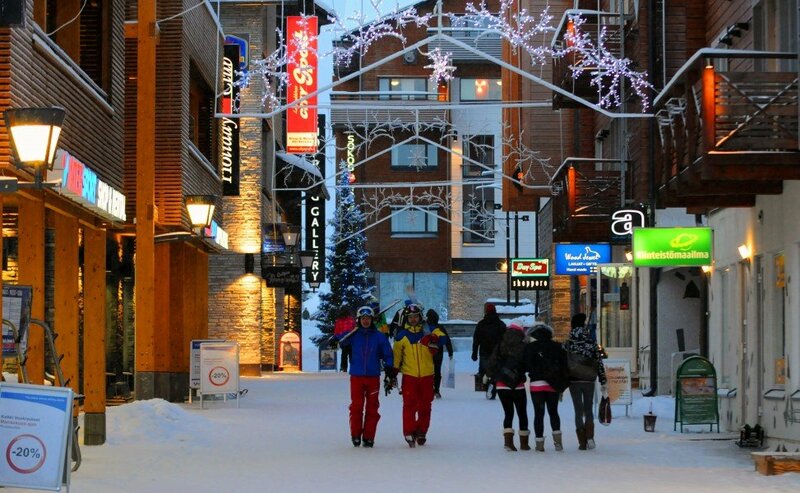 The all-round service here is neatly rounded out with various shops, restaurants and ski lodges, as well as an array of winter pursuits away from the slopes, such as ice fishing and dog sledding. By car and plane: The nearby airport in Kittliä is served by several large airlines and is just 20 minutes away from Levi by car. As Fell-Lappland is relatively flat, the roads here are usually easy to drive no matter the season.